I get that. As artists, we often put our art before our financial safety. Aside from the calls from creditors and collectors, aside from the loss of use of services you can’t pay for, aside from the condition in which you have to live, transport yourself and eat…your very personality can begin to change. You become more desperate, more cranky, and more defensive about your lifestyle when you’re in financial danger. And all those around you become very aware of how you treat them when you’re hard up for cash. Worst of all, it begins to affect the very thing you’re trying to protect: your ability to act, voice content, audition, rehearse, and perform. 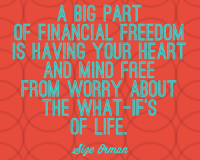 And that happens because, quite naturally, you’re worried about money. I want you to be successful. I try to share with you, whenever I can, things that enhance your artistic, business and technologic life. One of the most important things I want for you is to be financially safe. You may not be there now, but I want to help you get there. Imagine how much easier your life would be if you could get better sleep, not worry so much, and have a better relationship with money. I’ll be sharing some strategies and tactics over the next few weeks about how to accomplish this. Stay tuned: I’m lining up some great advice to share with you. The most stressful part about financial safety is having to maintain a certain income not only for bills but for my family as well. I have two daughters, one a sophomore in college the other a sophomore in HS so there are many expenses attendant to the needs of girls, especially my high-schooler that require me to work two jobs in these trying times. The stress comes in when I try to schedule recording sessions somewhere in that busy day and still leave time to do things like sleep. I’m finding that I’m yawning a lot when I try to record auditions for ACX and have to pause quite frequently during the session. My wife and I discussed this, and I told her that I just am physically unable to accomplish this so we reworked our budget and have factored in a diminished income to allow me the time I need to record quality samples. I’ve spoken to my boss on the evening job and he’s going to cut my hours so that I’m only working three days a week instead of five. My day job is still over 40 hours so that will stand to provide some measure of security. Tough choices to have to make, but I believe that in the long run it will work out for the best, especially when I start earning income from VO gigs and am able to quit my evening job altogether. However, that interim between smaller income and earnings from VO work will be tough all the same. This is an important topic. I do think sometimes there is a disconnect between artists and money. As you say, some almost wear their strained finances as a badge of honor. The mindset behind wealth or poverty is often what leads or stops us from moving in the direction we want. Uncovering some unconscious beliefs around this topic for many would probably turn up many blocks that are standing in their way. I’ll be interested to read about the tactics you’ll be sharing in upcoming articles. Perhaps the most important – and most often overlooked – aspect of a creative career and lifestyle. Looking forward to your insight! I have for YEARS been an advocate of having enough moolah to LIVE, not just SURVIVE. I’m sure you’ll be touching on how we use our language — “survival job”, “starving artist”?!?!? THANK YOU for bringing up this topic – I’ll be sure to forward to my clients. In the meantime, one of my favorite resources for this is the (misnamed) ACTOR’S FUND. You do NOT need to be union, nor do you need to be an actor to use their resources. They have classes and workshops on everything from “Plan B jobs” as I call them to money management and how to build wealth. Big hug to you my friend for getting this chat started for I’m sure many people who’s heads are in the sand, both from fear and from simply not knowing what or how to “do” money. So glad you brought up the Actor’s Fund – I have a very special surprise coming soon for them and for users of Rehearsal. I can’t wait to show it to you all. And I’ll include a rundown of all that they have to offer in an upcoming article. Thank you, Kara!! Looking forward to this David. We must realize we are not victims or martyrs. We are winners. I’m intrigued about all that you have in store, particularly with regard to the Actor’s Fund. Personally, I want to know the advantages and/or disadvantages of forming an LLC as opposed to DBA…but then perhaps that’s beyond your scope. David, you have provided some very sage advice here. I checked out one of the Actor’s Fund e-learning podcasts on organizing expenses. Very good information, very well presented. Great topic David. My husband, Bruce Horowitz owns his own wealth management firm, Innovative Wealth Strategists, so we do our best to be good stewards with our resources. Cudos to Randy who reworked his budget with his wife, I choose peace over stress too! Looking forward to your insights. Huge topic and need. I’m in. My husband and I have three teenage sons, and one is a senior in high school planning to go to college. So yes, I need to be careful with money!! That being said, I also need to make sure the investments I do make in my career are wise (i. e. getting a website domain) so I can MAKE more money. It is a Catch 22 sometimes. It’s hard for me to justify spending, and yet I need to remind myself of how much I may be losing in the long run if I don’t spend now. I need to bite the bullet on the website, but it kills me to spend that much!!!! Thank you for your guidance, David! One challenge on which I’d love to hear your thoughts is finding the right balance between your “day job” and your VO career in its first few years. The day job pays better than your VO career at the outset, and so there is at that stage a hard opportunity cost for every hour spent on building your VO career rather than the day job. But of course the VO career will never get anywhere without a sustained commitment of time and resources. So how do you find that right equilibrium? Looking forward to your strategies and tactics on this topic over the next while. Thanks, David! This is so timely for me right now and I’m so glad to see this post. I look forward to the continuation of this conversation. Thank you David! An emotional challenge I’m experiencing at this point is the feeling of not being good enough or ready enough for anything. I’ve set my boundaries in terms of day jobs, but I expect to be paid what I feel I am worth. Moving to Los Angeles, the market sees me differently (both in my day jobs and in the acting world). I’ve said to to opportunities that don’t agree with auditions being my first priority, but I’ve also been more open to saying yes to golden handcuff jobs as the money tightens. However, when experiencing the job hunt on both these emotional platforms, it seems I’m always overqualified or underqualified. Good, but not good enough. Not what they’re looking for. Before moving here, I had great success with my personal outlook on situations, now…I can’t help feeling that after 5 months, it’s personal. I’m not sure how I can change my outlook now that I’ve dipped into the danger zone. Should I go back to the city where I was appreciated and build up funds? Or am I just too impatient? Looking forward to your advice, which has come at the perfect time! David, you always have such a confident, calm, wise, caring approach to this type of topic. It is inspirational. I look forward to your insight. 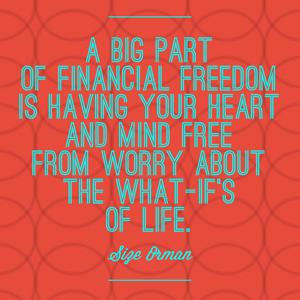 I have caught myself “worry” about money, only to find that it isn’t really my own thought but what I grew up with. It is a thought that has been carried around by family or friends – especially among creatives – and I have taken it on as my own.